I have been reading through the book of Esther in my personal devotions. Yesterday I was fascinated by one verse in chapter 6. In case you have forgotten the story told in Esther, Haman, an enemy of the Jews, had plotted to commit genocide against God's chosen people. Haman had a special hatred for one particular Jew, named Mordecai, who refused to honor him as he wanted to be honored. In chapter 6 the King realized that Mordecai had once done him a great favor that had not yet been rewarded, so he called Haman in and told him to go honor Mordecai for the unrewarded deed. Though Haman hated Mordecai, he had no choice but to do what the King commanded, but loathed every moment of it. 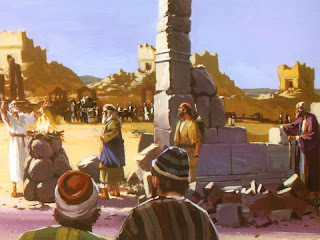 When Haman got home that night he whined to his family about how he had to honor Mordecai that day, the very Jew who had refused to honor Haman. I am sure he was expecting sympathy from his friends and his wife. But their answer to him was startling. That answer is recorded in Esther 6:13 "If Mordecai, before who you have begun to fall, is Jewish, you won't overcome him, because your downfall is certain." I find it amazing that Haman's friends, who were no friends of the Jews, recognized that the Jews were special and that Haman would not be able to stand against them. Matthew Henry writes in his commentary that "they plainly confessed that the Jews, though scattered through the nations, were special objects of divine care. Miserable comforters are they all; they did not advise Haman to repent, but foretold his fate as unavoidable." Whether Haman's friends had access to the Old Testament or not, they clearly understood the teaching of Genesis 12:3, where God promised Abraham, "I will bless those who bless you, I will curse those who treat you with contempt, and all the peoples on earth will be blessed through you." Almost since the beginning of Jewish history as a people, there have been those who sought to destroy them. Time and time again their people have been persecuted, often with great enthusiasm (see a list of Jewish persecutions here). But through God's supernatural protection, they have survived. This is something that we should take to heart in our modern world in which the Jews have somehow become the "bad" people of the Middle East. Though I do not always agree with the tactics that the nation of Israel uses against her enemies, I am not fool enough to put myself on the list of her enemies. For all their faults and misguided ideas, the Jews are still God's chosen people and if we stand against them, our fall is inevitable. I heard an interesting comment on the news this morning. The commentator was talking about Pope Francis and his emphasis on compassion for the vulnerable. In the banter back and forth between the various commentators, this fellow said, "It's just Christianity 101. The basis of Christianity is to help the poor." Obviously this commentator is not a theologian, nor was he an official spokesperson for Pope Francis, so we cannot read too much into what he said. But I do think he has expressed a common idea that many people have, which is that the primary purpose of the church is to help the poor and needy. While I agree that helping the poor and vulnerable is a key part of how Christianity demonstrates the love of Christ to others (James 1:27, John 13:35), it is not the "basis" of Christianity. The basis of Christianity is about what Christ has done for us. Christianity 101 is that people, by nature and by choice, are messed up. The Bible calls this sin, but if we do not like the word sin, we can call it whatever we want to. All we have to do is watch the nightly news to see the depravity of people, so the reality of sin is all around us, even if we do not like to use the word. But Christianity 101 also says that God loves us despite how messed up we are. God's love is more powerful than man's sinfulness. Christianity 101 goes on to teach us that our messed up condition must somehow be fixed. After all, could a loving God really leave us in our messed up condition? This idea that sin must be atoned for is where our concept of justice comes from. Innately, we know that there is a consequence for bad actions and a price to be paid when a wrong is done. One does not have to be a theologian to understand that. Since thousands of years of human history have clearly proven that we are incapable of fixing our messes ourselves, God sent His Son Jesus to earth to show us a better way to live. Jesus then offered Himself up as the ultimate sacrifice for our sin, thereby satisfying the nature of justice, as well as setting an example for daily life. That is Christianity 101. Before my readers jump to conclusions and leave harsh comments on this post, I point out once again that I am not saying that helping the poor and the needy is unimportant. But I happen to think it is Christianity 201, not 101. A person must first understand themselves before they can really help others. A person must first come to grips with their own pitiful situation before they can help someone else with theirs. A person must first find the love of God in their own life before they can adequately give that love to someone else through a compassion that helps, instead of a patronizing attitude that actually hurts. Perhaps the problem with much of what the church is doing is that we have attempted to help the poor and needy without first finding the help that God gives in our own lives. Perhaps instead of starting with the church's mission of helping the poor and needy, we must FIRST find a peace in our own lives that will empower us to more effectively help the poor and needy. Perhaps we must FIRST learn to walk before we learn to run. Perhaps we must FIRST actually enroll in Christianity 101, before we move on to Christianity 201. Then maybe the church will become what it is meant to be, a place for both spiritual peace and compassionate charity. Either one without the other is an incomplete picture of what the church is supposed to be. • Most of us get far more excited at a football game than we do at sharing all the things God has done for us. • Is it possible to serve God without gladness? Yes, but what a terrible way to live one’s life. • David tells his readers to come into God’s presence with singing. Music is an important part of our lives. Christian music makes us feel closer to God. • One thing that can help our singing be more worshipful is singing songs that we can sing TO God, not just ones that we can sing ABOUT God. • It is important to know that God is real and that He is Lord over all things because when we forget that, we tend to think we are in control of everything. Life has a way of reminding us again and again that we are not in control. So if we try to be, we will be constantly disappointed. • The Bible teaches both in this verse and in many other places that God made us. This is different than what most of us have been taught in school. We are the special creation of a mighty God not the accident of a muddy glob!!!! • When we come before the Lord, we should come with thanksgiving and praise. There is a difference between thanksgiving and praise. 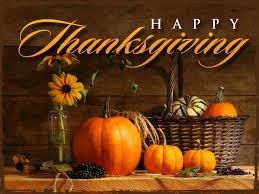 Thanksgiving is being grateful for what God HAS DONE FOR US. Praise is being excited about WHO GOD IS. • We should be thankful to God for the many things he has done for us. • We should praise God just for being who he is. • David wanted his readers to know that the Lord really is good. Sometimes we doubt the goodness of God when bad things happen to us that we do not understand. But God is always working for our good, even when it does not seem like it. • Sometimes our love for God goes up and down depending our how we feel or what may be going on in our lives. But God’s love for us NEVER waivers. God’s love endures forever. Recently I was training a group of pastors in how they could train leaders in their churches. I thought I would share a few of those ideas with the rest of my reading audience. There are basically two types of leaders needed in the church. These are people whom we can assign a specific task to do and they will do it well. (Examples: cleaning the building, setting up sound equipment, preparing communion, overseeing the nursery, etc.) Many people do not want to have to think about all the behind the scenes strategies, budgets, policies and procedures that it takes to operate a church, they just want a job to do and will do it well if we train and empower them. Though some of these people may in time learn how to become more than just task oriented leaders, many will not, and we should accept that. These are people whom can help us provide more strategic leadership to the church, such as deacons or elders. They have the ability, and the willingness, to think deeply and provide feedback and suggestions for the overall direction of the church. Though they may start off as task oriented leaders, it becomes obvious that they can, and will do more. 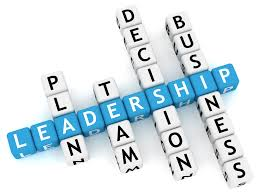 In fact, most of these types of leaders will not stay in a church if they are ONLY used as task oriented leaders. Though we must be cautious about people who are control freaks, most people in this category are not. The key to transitioning from one step to the next is honest evaluation and discussion. Practice does NOT make perfect. Practice, followed by evaluation and adjustment, produces ongoing growth, which leads to mature leaders. 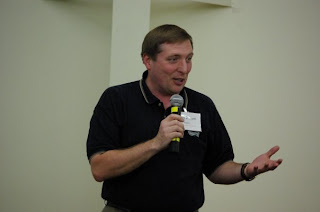 My friend David Wesley Gould posted this statement on his Facebook page: “In our belief system, when the negotiable becomes non-negotiable, it won't be long before the non-negotiable becomes negotiable.” I thought it was an interesting statement, and since David and I come from very different denominational backgrounds, I wanted to hear the rest of the story. I asked David to give me the context that his statement emerged from. David went on to explain that he had been involved in a fairly vigorous online conversation with some colleagues from his denomination about the role of women in ministry. His denomination ordains women for any office, a practice that David thinks should be done with great care and not just to be avant garde. The denomination is officially egalitarian, but since most of their churches would never hire a female pastor, David believes they functionally fall into the complementarianism category. But this post is not actually about women in ministry. What it is really about is how churches, and sometimes whole denominations, can get their focus off course on what is really important, which is what led to David’s comment about what is negotiable and what is non-negotiable. Let me explain. David shared how in the course of the conversation, one person declared that women in leadership is a “cornerstone” of the denomination, and “not up for debate.” David recalls that “Others began to jump in, and suddenly, people were saying that woman’s ordination was one of our core beliefs.” While it is clearly an important issue, regardless of which side of the debate we fall on, is it really a cornerstone of the denomination? It is really a core belief? Since I am not part of David’s denomination, I do not know for sure, but somehow, I would think that the Gospel should be the cornerstone of ANY denomination, more than the gender of the pastor. What David found interesting about the discussion he took part in is that at the same time that this discussion about women in ministry was going on, there was also discussion by some in the denomination that they should open the door for those who would see the Bible (primarily the Old Testament) as merely a story-telling narrative, compiled from various writers who may or may not have been giving historical accounts, but certainly wove in their own cultural stories into the main story. David concludes that “basically the inerrancy of Scripture is on the table for review and dismissal (negotiable), but allowing women to pastor is now an essential (non-negotiable) doctrine.” David sees that as a real problem, and made the statement on his Facebook page to express his frustration. I find myself in agreement with David’s concern. What we decide is negotiable, or non-negotiable, really is important. If we focus on the wrong things and make them non-negotiable, we may find ourselves fighting for a cause that in the end does not make a significant or eternal difference. (For the record, I believe that God reserves the office of pastor for males who meet the biblical qualifications, but that belief is not a “cornerstone” of my faith.) On the other hand, if we give up the fight on issues that are indeed crucial to our faith, then in the end, we will lack the ability to make a significant or eternal difference because we will no longer be teaching the truth. Lord, help us know which issues are truly the cornerstones of our faith and which issues are perhaps important, but secondary. Many people in our nation are fascinated with the AMC series, The Walking Dead. If you have not seen it, it tells the story of the a group of ordinary people fighting for survival in the midst of a world-wide zombie apocalypse. Due to the violence in the show, I am unable to recommend that everyone watch it, but for die hard zombie genre fans, it is a must see. Though the show is not particularly religious, every so often it will include a religious theme. Though in my opinion, the screen writers' view of religion is a bit warped, I suspect that it is an accurate portrayal of how the ordinary person on the street who is only vaguely connected with religion feels. 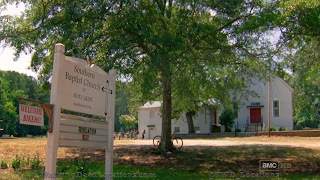 For example, I noticed that in season two, episode one, the characters went into the "Southern Baptist Church of Holy Light." Since I am a Southern Baptist, that got my attention. But once inside the church, I noticed it was decorated more like a Catholic church, including an almost life-sized crucifix of Jesus at front. Since a Southern Baptist church would NEVER have a crucifix of Jesus still on the cross, it was a glaring theological error. Obviously the screenwriters were lumping all religion together without any understanding of theology. But should that really surprise us? The church has not done a good job in recent years of communicating what we believe to those outside the church. Therefore, it makes sense that those outside the church do not understand something so basic as why Jesus is no longer on the cross. But God, in His sovereignty, has not left non-believers without a witness. In the very same episode, a key character in the show, whose young daughter had gone missing in a forest full of zombies, prays and asks the Lord to take any punishment the little girl deserved and give it to the mom instead. Though slightly awry in its focus, this mother was expressing the biblical concept of propitiation. I doubt the writers realized they were teaching a Gospel truth that Jesus did exactly what that mother asked for on the cross. For it was on the cross that Jesus took all our iniquities, struggles, problems and failures on Himself and traded us all of His righteousness and purity. I thought it was intriguing that the screenwriters could not get a simple thing like Jesus no longer being on the cross in a Baptist church right, but could at least hint at the much more complicated concept of Jesus taking our sins upon Himself. Only God could have caused the screenwriters' minds to work such a deep idea into an otherwise unredeemable show. Let us pray that the God of Heaven, whom is calling many to Himself, will continue to work in the hearts of non-believers to reveal the truth of the Gospel to them in ways that no one could have ever guessed. All the proceeds from book sales supports our family's efforts to plant churches in New England. Am I Really Old and Full of Wisdom? My wife and I have always related well to young people. 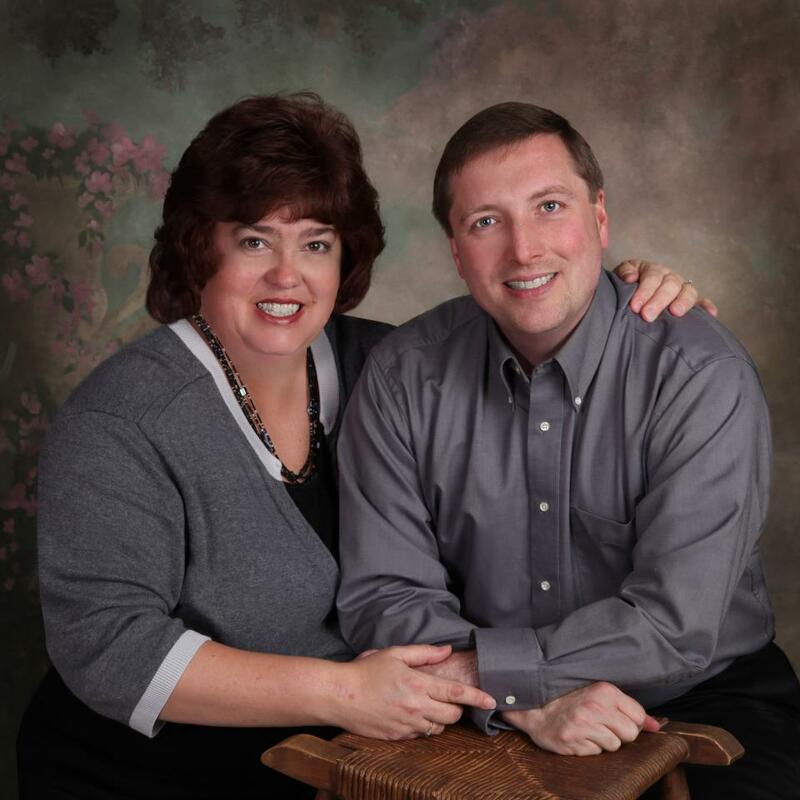 Throughout our marriage we have been involved in various types of ministry to teenagers or young adults. In keeping with that trend, we are currently part of a new church that meets on the University of Hartford campus. My son-in-law, Logan, is the pastor of this new church and I am his co-pastor. Though not exclusively focused on reaching students, the congregation does include a large percentage of young people and appears to be poised for significant growth from that segment of the community. This past Sunday Logan was out of town speaking at churches in South Carolina in the hopes of finding partners to assist us in our church planting ministry. Since Logan was gone, I had the honor of leading the whole service and preaching. Since I love to preach, this was a great joy. We had a larger than normal crowd, including some first time visitors and a good spirit during the service. I was pretty excited about how things went. In today’s post-modern culture in which young adults watch a ten minute video on YouTube on any given subject and then think they are the authoritative expert on whatever issue the video was about, it is reassuring to know that at least some young adults still see “wisdom” as valuable and as something that “old” people have to offer. If more young people think like this young man does, there may yet be hope for our culture. 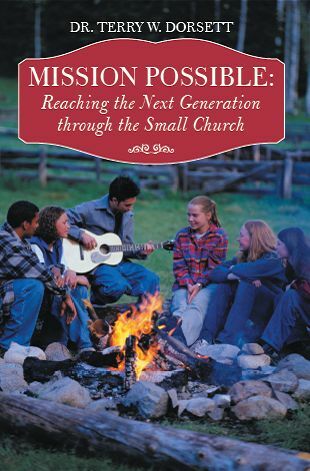 NOTE: I share a lot of ideas about how to reach young adults in my book Mission Possible: Reaching the Next Generation through the Small Church. Happy 95th birthday Billy Graham!!!! As a child I remember attending the Billy Graham crusade in Chicago. I was little so I regret that I do not remember much of the sermon, only that we sat a long way from the front and Dr. Graham looked so small. Little did I realize then the BIG impact that man would have on America. Many years later I would watch one of the crusades on television and realize just how great a Gospel focused preacher he was. He has preached to more people in person than anyone else alive today. Millions have responded to the Gospel around the world as a result of his ministry. Today, November 7, 2013, he turns 95 years old. Unlike so many "famous" Christian celebrities, he has never fallen to the sins of the famous. He has kept his marriage vows. He has kept his financial integrity. He refused to toy with the more "sensational" issues of the day that might distract from his focus on Jesus. At some point soon, he will hear the Master say, "Well done thou good and faithful servant, enter into your reward." Though that day may come soon, while Billy still has breath within him, he wants to use that breath to preach the Gospel. Starting tonight, and going through Sunday, a special program will be airing on television. It is Billy Graham's last message of hope to America. It is called "The Cross." 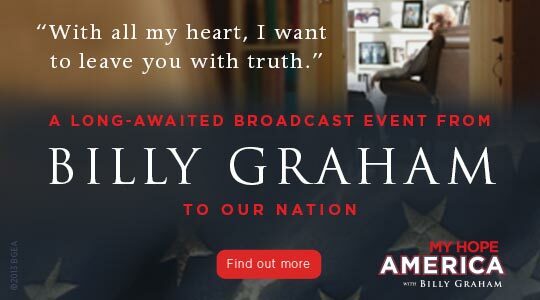 I watched the program a few weeks ago at the Billy Graham headquarters in Charlotte, NC. It is powerful. The program will be aired on cable stations across the nation as well as local stations. You can use the link below to find out when it is playing in your area. There are also 210,000 homes across the nation that have committed to gathering a small group of friends and watching the program together either through the Internet, a DVD, or through the broadcast schedule. Someone in the group will then share a short testimony of their own faith in Christ and invite anyone present who has not yet made a commitment to Christ to consider doing so. You should watch the program. You should invite a friend to watch it with you. You should pray for hundreds of thousands of people across America to respond to presentation of the Gospel. Pray that this may be Billy's best crusade ever before he goes home to meet his Father. 1 See, I am going to send My messenger, and he will clear the way before Me. Then the Lord you seek will suddenly come to His temple, the Messenger of the covenant you desire—see, He is coming, says the LORD of Hosts. 2 But who can endure the day of His coming? And who will be able to stand when He appears? For He will be like a refiner's fire and like cleansing lye. 3 He will be like a refiner and purifier of silver; He will purify the sons of Levi and refine them like gold and silver. Then they will present offerings to the LORD in righteousness. 4 And the offerings of Judah and Jerusalem will please the LORD as in days of old and years gone by. • Malachi was the last Old Testament prophet. • After Malachi completed his ministry, a period of 400 years passed in which there was no prophet in Israel who spoke for God. • God knew this time of spiritual dryness was coming so He led Malachi to say some challenging things to His people that would sustain them through that period. • Many people did not like the challenging things Malachi had to say. • But Malachi was not just a doom and gloom prophet. He proclaimed a message of “tough love” in which he urged people to repent of their sins and receive God’s forgiveness before it was too late. • That is a message we still need to hear today even though it is no longer popular in our culture or in a growing number of churches. Verse 1 - I am going to send My messenger, and he will clear the way before Me. Then the Lord you seek will suddenly come to His temple, the Messenger of the covenant you desire—see, He is coming! • This was a prophetic reference to John the Baptist, who would eventually prepare the way for Jesus to come as the Messiah. • It refers to the custom of the oriental kings of that time to send a messenger ahead of them before the king would come for a visit. • The messenger’s job was two-fold. • First, he was to remove any obstacles that would delay the king’s coming. • Second, he was to make sure they planned an adequate reception for the king when he arrived. • What obstacles are keeping King Jesus from being fully Lord and Master of our lives? • What obstacles are holding back the spread of the Gospel and the expansion of His Kingdom in our corner of the world? Verse 2 - But who can endure the day of His coming? And who will be able to stand when He appears? For He will be like a refiner's fire and like cleansing lye. • The people of Malachi’s day did not like the way God was running the world. • Their economy was struggling. Their military situation was tenuous. Their culture was in decline. They wanted to blame all of this on God. 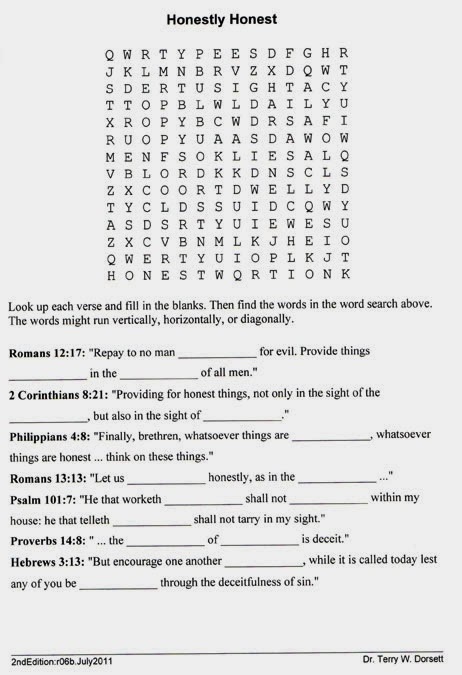 • They asked where God was during times of crisis. They had accused God of not being just because God had allowed bad things to happen. • Malachi reminds them that the King of the Universe was coming to set right all that is evil and wrong in the world. • Some of our problems are from our own sinful mistakes, Jesus can help us overcome them. • Some of our problems are from the sinful mistakes of others, Jesus can help us with that too. • Though it can be hard to wait for the King to help us fix it, the waiting itself is part of the refining process. • There are different types of fires. • A forest fire rages out of control and destroys without concern for anyone or anything. • An incinerator consumes whatever is put in it completely until nothing is left but dust. • But this verse refers to refiner’s fire. • A refiner’s fire does not rage out of control. It is always under the control of the refiner. • A refiner’s fire does not destroy what it touches. It purifies what it touches. 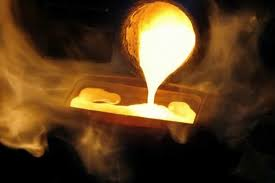 • A refiner’s fire melts down a lump of silver or gold, separating out the impurities that lower the value. After the process is complete, the silver or gold is more valuable because it is more pure. • When we go through difficult times in our lives we often think God has abandoned us. But He never leaves us or forsakes us. • When we use those difficulties as stepping stones to becoming better people, God purifies us and making us more valuable to His Kingdom and to the world around us. • Unfortunately, some people misunderstand what is happening to them and instead of being refined, they become bitter. That is a type of response only leads to more difficulty. Verse 3 - . . . He will purify the sons of Levi and refine them like gold and silver. Then they will present offerings to the LORD in righteousness. • Notice that the Lord will begin the refining process with the sons of Levi. In the Old Testament the sons of Levi were the priests. They were the only ones who could stand before God. • But the New Testament teaches that after Christ died on the cross that each Christian is a priest before God. • Though Malachi was referring to the Levitical priests in his time, this verse now applies to all born again Christians since we are all priests. • Refiner’s fire makes Christians more pure in their faith so they are more useful to the Lord and to the community around them. Verse 4 - And the offerings of Judah and Jerusalem will please the LORD as in days of old and years gone by. • After going through the refining process, the offerings (time, talent, treasure) that Christians give please the Lord. They are no longer empty and meaningless because they are given with a pure heart. • Many Christians do the right things for the wrong reasons and wonder why they are not blessed. Remember, God looks on our hearts and His blessings flow from our heart relationship with Him. Motives matter! • God wants us to remove whatever obstacles in our lives are holding back the expansion of His Kingdom in our lives and our corner of the world. • God uses the fires of difficulty to refine us and make us better people so we can impact the Kingdom in a great way. • When we keep our hearts focused on the King, then our “offerings” to God bring blessings into our lives because they come from a heart that is right relationship with the King of the Universe. In my morning devotions I have been reading about the Jews returning to Israel from exile. When they returned to Jerusalem, the city was in ruins. One of their first tasks was to rebuild the wall around the city so it would be a safe place to live. Nehemiah 3 lists the community leaders who each adopted a certain section of the wall to rebuild. It is a wonderful picture of what can happen when a group of people band together, each doing their part, to get the job done. However, there is a very intriguing phrase in verse five about one set of leaders. In verse five it says that the Tekoites made repairs "but their nobles did not lift a finger to help their supervisors." The Tekoites were from the small town of Tekoa, which in historical times was the home of David's "mighty men." Though we do not know the whole story, from this verse, and from other places in scripture, it appears that that the general populace of Tekoa was made up of hard working people who you could count on to get the job done. In fact, they are one of only three groups that eventually repaired more than one section of the wall. This indicates that they were not only willing to do their share of the work, but were willing to go beyond the call of duty and do even more than what most other people were willing to do. Even though the Tekoites were hard working, they had nobles that were not so great. For whatever reason their nobles were not willing to get personally involved in building the wall. Perhaps they thought it was beneath them. Maybe they were too busy entertaining other nobility. For whatever reason, they were not fully supportive of what God had led the people to do. Their lack of support was noted at the time and recorded for all history to read. Thousands of years later we still know of their lack of leadership at a crucial time in history. I am struck by the powerful parallels in this verse and in our current culture in North America. Many people I know are hard working people. They are trying to earn a living, raise a family, help their neighbor, and make their community a better place to live. But where are our leaders? They are occupied with other things. History will record their lack of leadership in this critical hour. But I think this verse also applies to the Christian sub-culture that exists inside our overall North American culture. As the walls of Christendom have fallen into ruins, we must begin to share our faith more openly with those around us. We must be bold as we seek to rebuild the spiritual foundations that our society was been built on. A key part of this is personal evangelism. In the last few months I have trained many lay people in how to do evangelism. I am amazed at how many lay people heard about the training in some way other than the pastor, elders or deacons in their church. Those lay people came to the training and are now putting the training in practice. They are to be commended. But where are the leaders? 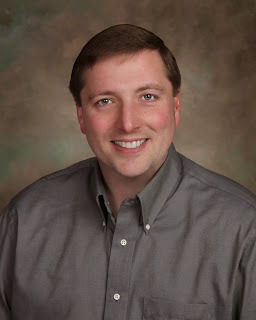 It is shocking to me how many lay people I talk to who tell me that their senior pastor is really not into evangelism. History will record their lack of leadership in this critical hour. I have been studying the lives of the Old Testament kings of Israel in my personal devotions. Though some honored God, most did whatever they wanted to with no regard for how it impacted their relationship with the Lord. Their disregard for the God of their fathers caused tremendous pain not only in their personal lives, but in their nation. As the story winds down at the end of 2 Chronicles, the entire kingdom collapsed. Jerusalem was destroyed. The people were carried off into exile in distant lands. At first glance, it seemed that all hope was lost and nothing great would ever happen again in Israel. But then we come to the last verse of the story, 2 Chronicles 36:23. In that verse God touched the heart of King Cyrus of Persia, a foreign conqueror who was not a follower of the Jewish faith. King Cyrus passed a decree allowing the Jewish people to return to Jerusalem and rebuild their temple. This story, so filled with disappointment and failure, ends with a promise of hope. Life is often like that for us when we allow God to be at work in our lives. We may face many failures, hardships and difficulties, but when we re-focus on Jesus, the Author and Finisher of our faith, we find hope in the midst of despair. Godly hope does not disappoint. It leads to amazing things we never thought possible. The book of Ezra follows Chronicles. It picks up the story of the Jewish people in exile. In the opening verses we learn that not only are the Jews allowed to return home and build their temple, but that the very kingdom that enslaved them was now going to help pay for the repairs of the temple. Though some opposition remained, and many hardships still lay ahead, the tide had clearly turned. They were eventually able to rebuild their temple, which remained until after Jesus’s resurrection. Many times in our lives God uses the very thing that looked like it would destroy us as an instrument of blessing to us. I am reminded of Ephesians 3:20 which tells us that Christ “is able to do far more abundantly than all that we ask or think, according to the power at work within us.” When we are discouraged, we must remember that better days are coming and they will be more amazing than we could ever imagine.